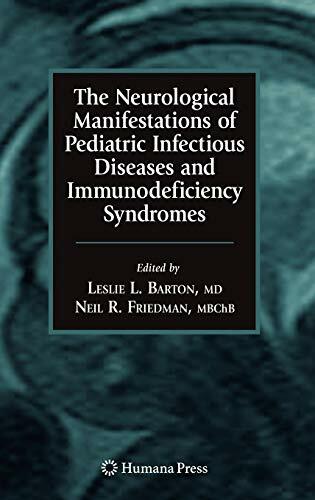 Neurological Manifestations Of Pediatric Infectious Diseases And Immunodeficiency Syndromes (Infectious Disease): 9781588299673 Hardcover - LIMEROCK BOOKS INC. In this concise book, an international panel of experts provide a succinct, up-to-date, evidence-based reference to the neurological consequences of infectious diseases and immunodeficiency syndromes in children in one readily accessible volume. Within each of its conveniently structured chapters, readers will find a general description of the disease or disorder. Finally a volume for pediatricians, neurologists, infectious disease specialists and all who care for children. World Health Organization data documents that infectious diseases and immunodeficiencies are the leading causes of morbidity and mortality in the world's children. In The Neurological Manifestations of Pediatric Infectious Diseases and Immunodeficiency Syndromes, an authoritative, international panel of experts provide a succinct, up-to-date, evidence-based reference to the neurological consequences of infectious diseases and immunodeficiency syndromes in children in one readily accessible volume. Within each of its conveniently structured chapters, readers will find a general description of the disease or disorder, its epidemiology, etiology, clinical synopsis, neurological manifestations, diagnosis, differential diagnosis and therapy. Comprehensive yet concise, The Neurological Manifestations of Pediatric Infectious Diseases and Immunodeficiency Syndromes is an ideal guide for pediatricians, primary care physicians and subspecialists to the complex relationships between infectious diseases, immunodeficiency syndromes and the neurological process.